In this article, you will learn to create a switch statement in C++ programming (with an example). The ladder if..else..if statement allows you to execute a block code among many alternatives. If you are checking on the value of a single variable in ladder if..else..if, it is better to use switch statement. The switch statement is often faster than if...else (not always). Also, the syntax of switch statement is cleaner and easier to understand. In the above pseudocode, suppose the value of n is equal to constant2. 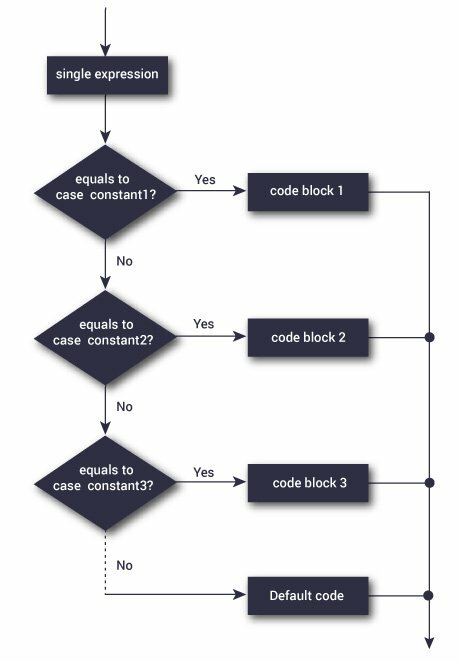 The compiler will execute the block of code associated with the case statement until the end of switch block, or until the break statement is encountered. The above figure shows how a switch statement works and conditions are checked within the switch case clause. The - operator entered by the user is stored in o variable. And, two operands 2.3 and 4.5 are stored in variables num1 and num2 respectively. Finally, the break statement ends the switch statement. 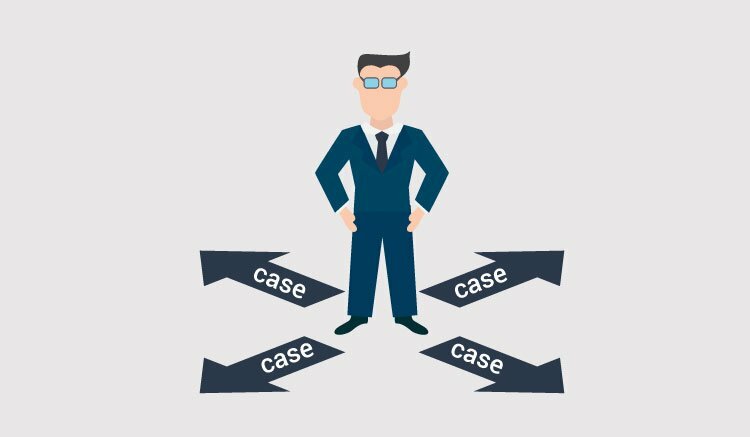 If break statement is not used, all cases after the correct case is executed.